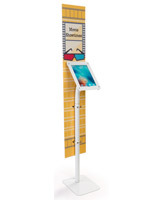 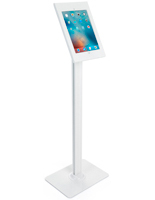 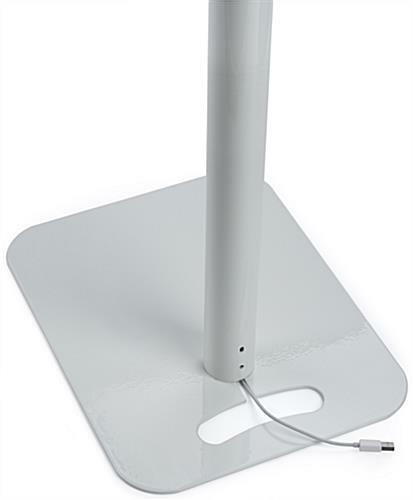 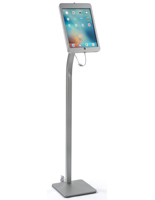 Crafted for multiple purposes, this iPad payment kiosk functions as a floor standing and countertop unit. 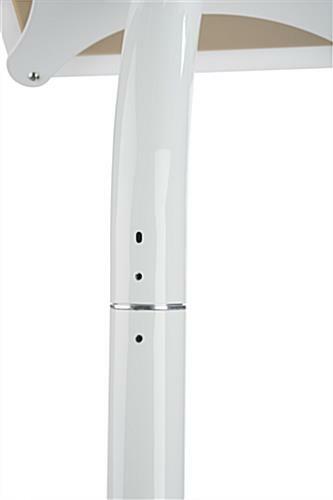 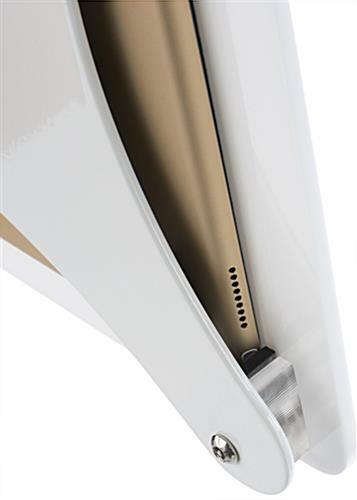 A 360° rotating casing allows users to switch the device from portrait to landscape mode with ease. 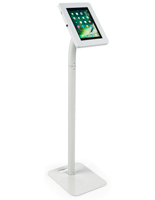 Safety screws and a Kensington hole offer security and peace of mind that your tablet payment kiosk stand will be safe from tampering hands. 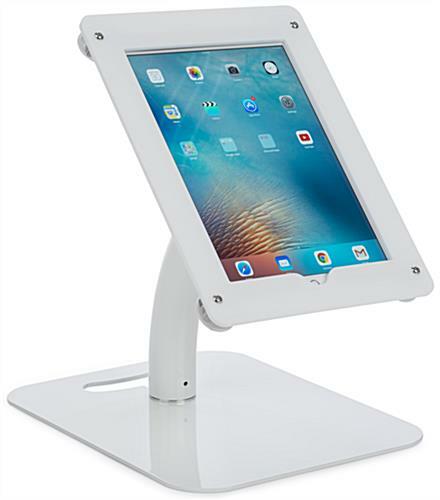 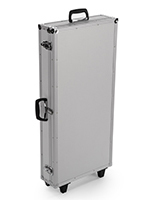 Additionally, the casing is unobtrusive and is compatible with square card readers to turn your device into a register, interactive stand, and more! 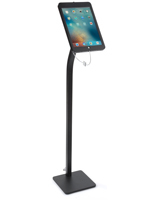 Cable management routed throughout the floor standing pole allows you to keep your tablet charged while constantly being used. 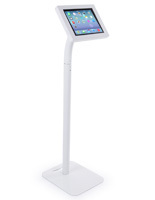 Use this payment kiosk in restaurants, retail environments, or at your next trade show event to interact and inform customers in a modern way. 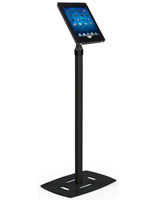 12.0" x 48.8" x 16.0"
11.8" x 16.5" x 0.75"
We are sorry that you had some issues assembling your order, Diane. 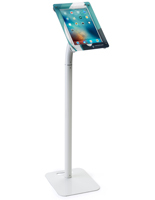 A customer care representative will contact you shortly.